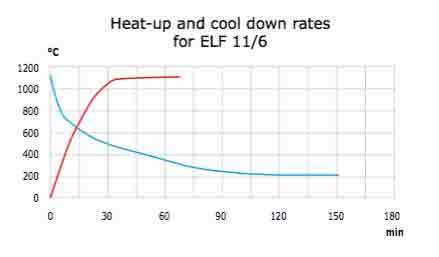 The ELF laboratory furnaces comprise three bench mounted models designed for light duty and general use up to 1100°C. They have a simple drop down door and a top mounted ceramic chimney. The combination of low thermal mass insulation and free radiating wire elements embedded in the chamber sides provide efficient heating.